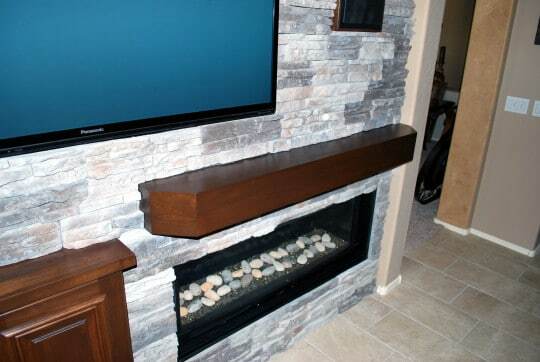 Entertainment Wall - CK Valenti Designs, Inc. 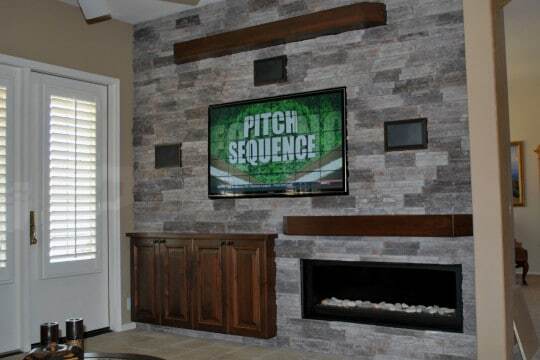 This project gave a residential living room wall a designer update! 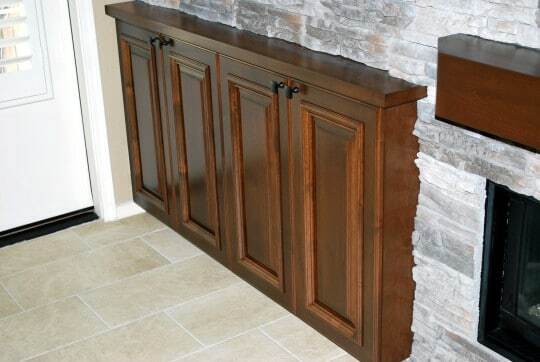 The built-in components of the entertainment wall – a “floating” audio/video credenza, fireplace mantle, floating shelf, and speaker frames – were made from Alder with a rich stain. 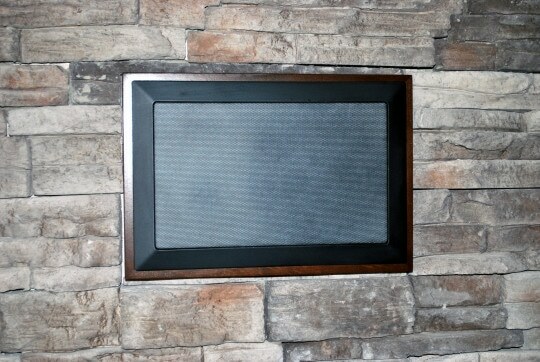 CKV also created a recess in the wall for the flat screen television.